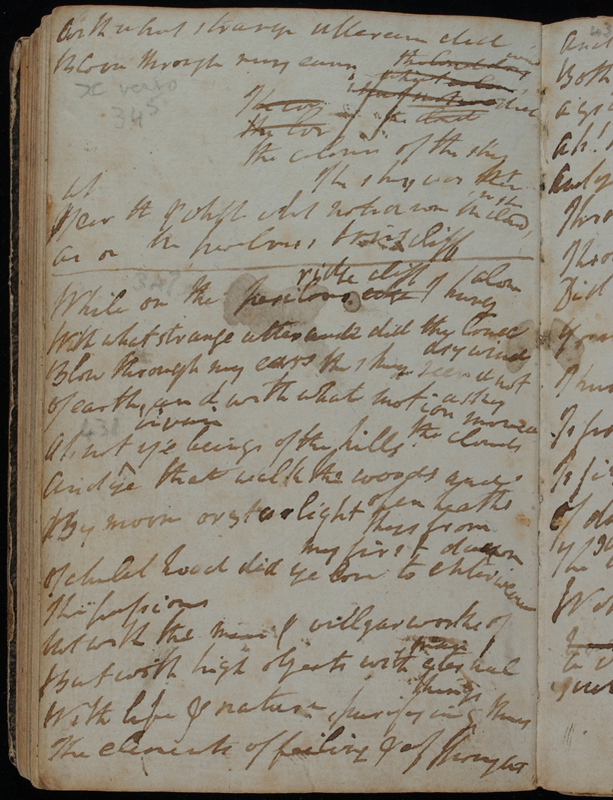 This is a piece of poetry about Wordsworth’s childhood, first written in the earliest Prelude manuscript MS JJ. 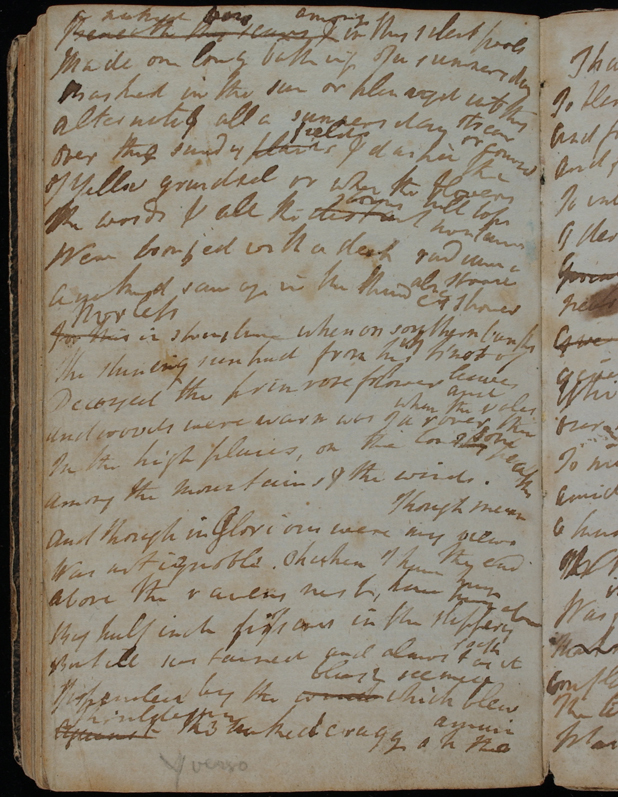 In the extract the young Wordsworth climbs a crag to take the eggs from a raven’s nest. This was a common practice when Wordsworth was a child. Ravens sometimes attacked young lambs, and farmers would pay boys like Wordsworth and his friends for destroying eggs. Here, however, the young Wordsworth gets stuck halfway up, unable to move. Too afraid to look down, he concentrates on the sky. Give out / show on the whiteboard, the picture of Wordsworth trapped on the crag. Introduce Wordsworth as a boy, struggling to reach a bird’s nest on a slippery, rocky cliff. Imagine what it would be like, desperately searching for footholds and something to grab onto; the weather is stormy and the wind is howling round. What do you think he might be feeling? What would happen if he slipped? 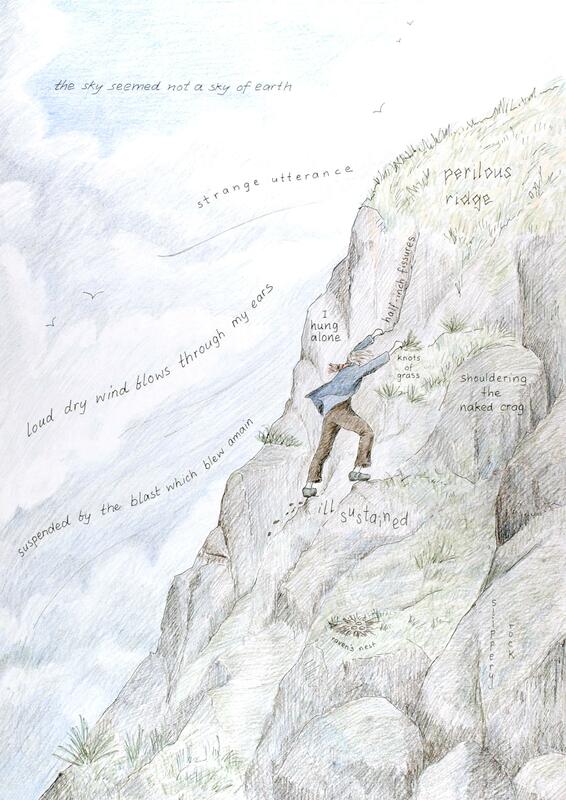 Go through and discuss the words and phrases on the cliff around the boy. Sets the scene: it is dangerous, there is no-one to help him, he may be frightened, but he may also find it exciting. 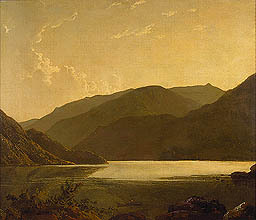 Being alone occurs in many of Wordsworth’s poems; only when he is on his own can he be fully aware of the world of nature. Fissure: a long narrow crack in the rock. Nowadays we mainly use the word ill to mean unwell, or poorly, but it can also be used to describe something that is not done well, or is going badly. Wordsworth is badly sustained – he’s balancing on little bits of rock that are barely able to support him. A crag is another word for a rocky cliff. How can a cliff be naked? What do you think Wordsworth means? Shouldering means he’s literally got his shoulder against the rock. Suspended: supported, or held up. The blast is the wind. Amain is an old fashioned word, meaning stormy, or violent. Wordsworth feels as if the strength of the wind is virtually holding him up, pinning him against the rock and preventing him from falling. The verb ‘to utter’ means to speak. Wordsworth imagines that the wind is like a person and is communicating with him. Do you know what it is called when you describe something as if it is a person? (personification). This phrase appears to make no sense, but it has the effect of emphasising how Wordsworth’s situation makes him react to the world of nature around him in a new way. Everything seems unreal.